6. Lieutenant Commander Behnisch +, 7. Navy Chief Engineer Haußmann +. Lieutenant Commander Behnisch Lieutenant Commander Behnisch, who has reached the age of 43 years, stood for 15 years in the naval service. His commission as Lieutenant Commander dated 27 March 1909. He was most recently commander of the gunboat “Panther” and was appointed two years ago in the Imperial Navy, where he served as departmental head for aviation. 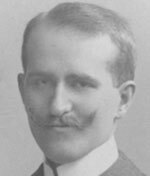 Behnisch was the son of the 1911 deceased Director of Görlitz engineering and foundry corporation. He attended the Görlitz high school and then joined the Navy. He stayed veryten in Görlitz and visited his, living on the Mühlberg, mother and his married sister. The news of is death reached the relatives in the first hour of the afternoon by a telegram from Berlin. 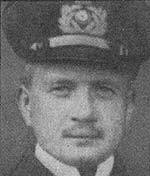 Navy enginebuilding master Otto Neumann, who on 28 June 1900 joined the Navy, had the rank of a captain lieutenant. He was just recently detached from the shipyard to Wilhelmshaven to the Imperial Navy Office, where he was placed under the Department for maintenance of ship machinery and ship-building factory. His job during the tests of the “L 2” was to examine the machine Anlagenzu, especially the engines, the message body, etc. 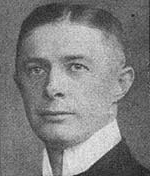 Navy shipbuilding master Felix Pietzker was approved in October 1908 by the Imperial Navy-Office as a lecturer in the Department for ship and marine engineering. His specialty were the questions of local strength of the hull. 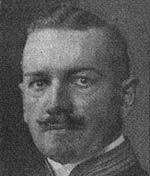 He went on 2 October 1903 in the Navy and on 8 December 1906 the Imperial Navy-Office assigned as a naval architect.Pietzker was in the section for the aviation of the Imperial Navy-Office Technical Advisory Council. Only in the October issue of the “Marine-Rundschau”, he published a very interesting article on the basics of naval aviation. He was also pilot and aircraft designer and repeatedly sent officially to France to study on airplane contests. He is survived by his wife Frieda (geb. Knaths). The book of naval ship building master Felix Pietzker, “Festigkeit der Schiffe” , in which he explained how the strength of hulls from this period can be captured arithmetically, is still available as a reprint. 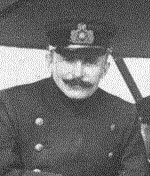 Catain Lieutenant Alexander Trenk has been recently airship commander in the Navy airship division under Lieutenant Commander Metzing. He was also the commander of a torpedo boat at the firs Torpedo Division. He joined the Navy 2 April 1900. Navy Chief Engineer Busch Particularly tragic is the fate of the Navy chief engineer Busch, who was killed in the accident. Chief engineer Busch joined the Navy Corps of Engineers 1 April 1893. His patent dated 22 March 1910. Two years later he was detached to the Imperial Navy Office, where he worked in the department for naval equipment.He actually belonged to the crew of the naval Airship “L1” that was wrecked in Heligoland. Busch should also participate in that unfortunate trip, but he was assigned at the last minute to attend the first great voyage of the “L2” from Friedrichshafen to Johannistal. That time he ecaped the certain death. Busch was married and leaves behind besides his widow, two sons aged two and four years. 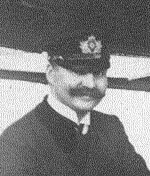 The killed in the accident Navy chief engineer Haußmann belonged to the Navy since 1 April 1898. His patent dated 22 March 1910. Two years later he was detached to the Imperial Navy, where he worked in the department of naval equipment. On 22 March 1913 he was assigned to the Naval Air Division. He was unmarried. 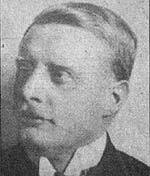 Captain Gluud Captain Ferdinand Gluud was an employee of the Zeppelin airship construction company. 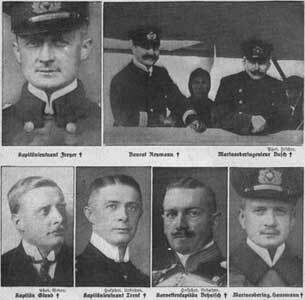 He had the leadership of the “Z IV” as the decrease commission visited the airship. Mrs. Captain Gluud reached the terrible news of he death of her husband when she returned home from a visit to the Countess Zeppelin. Captain Gluud was on request of his wife buried in his hometown Bremen. Captain Gluud leaves beside of his wife a six year old daughter behind.